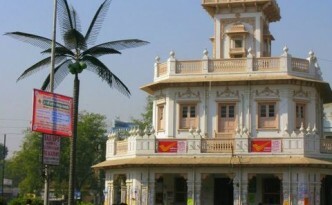 Near the clocktower in central Ujjain, a green neon palm tree stands amidst the whirling traffic. 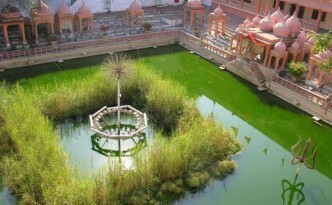 This minimally tree-shaped fountain is part of a water fountain at the centre of the world, Mahakaleshwar. 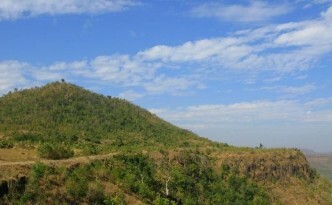 Like a flag on a hill, this tree at a small Sufi tomb is visible throughout western Mandu. 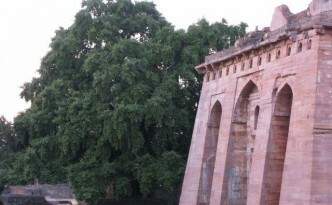 At the Swinging Palace, at the wonderfully opulent Ship’s Palace at Mandu, this old khirni tree offers some shade to archeological explorers. 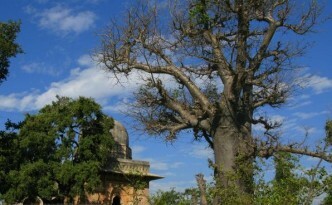 Strangely, this baobab at Mandu seems to have a small, unleaved branch sprouting from its roots. 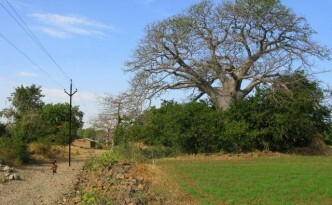 Perhaps the largest of the several large baobab’s at Mandu, this tree looms over a small farmfield on the plateau. 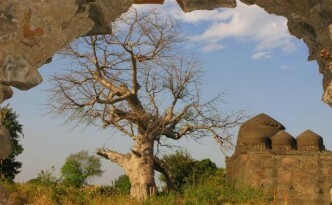 At Mandu, this big old baobab near an old palace has recently lost a big branch. 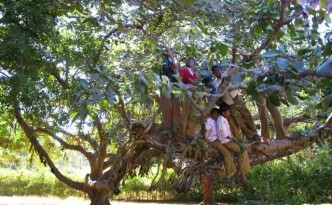 At Pachmarhi, I came across a dozen kids bouncing on an extremely long branch from this tree. Perhaps 20 meters long, it offered a great bouncing toy for me and several screaming young boys. 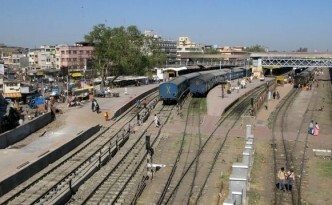 This tree is a prominent landmark on the railtracks in central Indore. 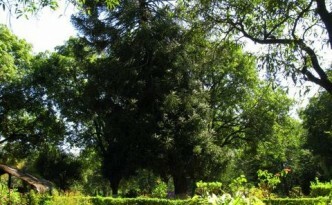 A stout, spreading, and sharp tree from Australia, misidentified as a monkey puzzle by the garden staff.